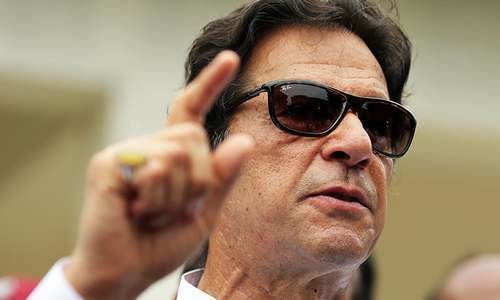 LAHORE: Buoyed by its electoral triumph, the Pakistan Tehreek-i-Insaf (PTI) is gripped by excited anticipation about forming a government in Punjab, banking on the support of independent candidates and MPAs of other parties who have begun leaning towards the party that is set to form a government at the Centre. “Minus the Pakistan Muslim League-Nawaz (PML-N) and the Pakistan Peoples Party (PPP), the PTI welcomes all independents and other parties’ elected members from Punjab to join hands [with us],” said Mian Mahmoodur Rasheed, PTI’s MPA-elect and former leader of the opposition in the Punjab Assembly. PTI chairman’s spokesperson Naeemul Haq asserted that the PTI would form a government in Punjab and was currently in close contact with various MPs-elect. Sources say that party leaders Shah Mahmood Qureshi and Jahangir Khan Tareen, on the instructions of the party chairman, have established contact with independents and other parties’ MPAs-elect to join hands with the PTI to form government in Punjab. Former Punjab minister Khawaja Imran Nazir said the PML-N had yet not decided whether it would form a provincial government or sit on the opposition benches. Sources, in the meantime, said that in a senior PML-N party members meeting in Lahore, former chief minister Shahbaz Sharif was urged to step up efforts to form a government in Punjab. In Lahore, the PTI has clinched eight seats from 30 constituencies this time around, whereas it had won four seats in the Punjab Assem­bly in the previous elections. The eight winning candidates are: Mian Muha­mmad Aslam Iqbal (PP-151), Abdul Aleem Khan (PP-158), Murad Raas (PP-159), Mian Mahmoodur Rasheed (PP-160), Malik Nadeem Abbas (PP-161), Nazir Ahmad Chohan (PP-167), Muhammad Amin Zulqernain (PP-170) and Sarfraz Hussain (PP-173). As the party’s position keeps getting clearer, a debate has emerged within the PML-N and the PTI over candidates for the coveted position of chief minister of Punjab. Since PTI vice chairman Shah Mahmood Qureshi lost his seat from PP-216, chairman Imran Khan’s close aide Abdul Aleem Khan has now emerged as a strong candidate for the post. A former chief minister, PML-Q’s Chaudhry Pervaiz Elahi, is also said to be in the race of the top slot in Punjab. A private TV channel said that since Mr Elahi had prior experience of serving on this post and since he was an ally of the PTI, Mr Khan had been advised by certain quarters to consider him as a viable option. If the PML-N decided to step up efforts to form a government in Punjab, former provincial minister Khawaja Imran Nazir said, party supremo Nawaz Sharif would pick a candidate for the chief minister slot. Talking to the media, PTI’s Mahmoodur Rasheed said PML-N president Shahbaz Sharif should stop levelling fake allegations of rigging in elections. “Do bring evidence of rigging, the PTI will be ready to open constituencies for verification,” he said, iterating the party’s line. Mr Rasheed said the people of Punjab had rejected the status quo and corruption by the Sharifs over the past 10 years and assured that the PTI government would strengthen institutions, improve governance and use public resources on human resource development. “The PTI’s performance towards human development has led the Khyber Pakhtunkhwa people to re-elect the PTI, a first in the history of the province,” he said. Mr Rasheed suggested that Shahbaz Sharif should show political maturity, accept results and play the role of an opposition for the cause of democracy. Elaborating the party line, he said the PTI government would not go for victimisation of its political opponents and instead let the institutions function with full autonomy. “Only mega projects in Punjab will be re-assessed and assured that undue cost be cut,” he added. FIANALLY we can say bye bye to PML-N in Punjab. I have seen Punjab going down the drains under their watch. So much corruption and outright destruction of law, economy and our civilizational ethos. This is good suggestion from PTI to PMLN. They should accept it and give a chance to PTI to show their performance in PUNJAB. It is not a historic first in KPK for PTI to form govt second time in KPK. PML(N) in 1988, 1990 and 1993. Khan/Shahbaz/Bilawal...... all said-South Punjab a Separate Province. All existing bylaws won't need any change, except inserting name of new province. PTI government in Punjab with Pervaiz Elahi as chief Minister will be a good choice. @tariq If this happens and PTI shows progress, where will PML(N) will go in the next elections? Therefore, Shahbaz Sharif cannot accept this proposal my friend. PML-N would not let go easily! Good Luck PTI and hang on tough. the nation is with you! As this is now Naya Pakistan, all bargaining and settlements of the seats should be out in the open. Why not set up a three hour or so session - thoroughly televised - where each independent openly declares which party they are joining and why. All inducements would be openly declared. @Shah I think PML N has done a great job in Punjab over the last few years with improving immunization, controlling Dengue, IT parks and infrastructure. I am afraid that when they are gone, much of this progress will be undermined and many of the uplift projects will be gone. I have seen first hand the improvements brought about by the Punjab Information Technology Board and I doubt anyone will work as hard for the province like Shahbaz Sharif.